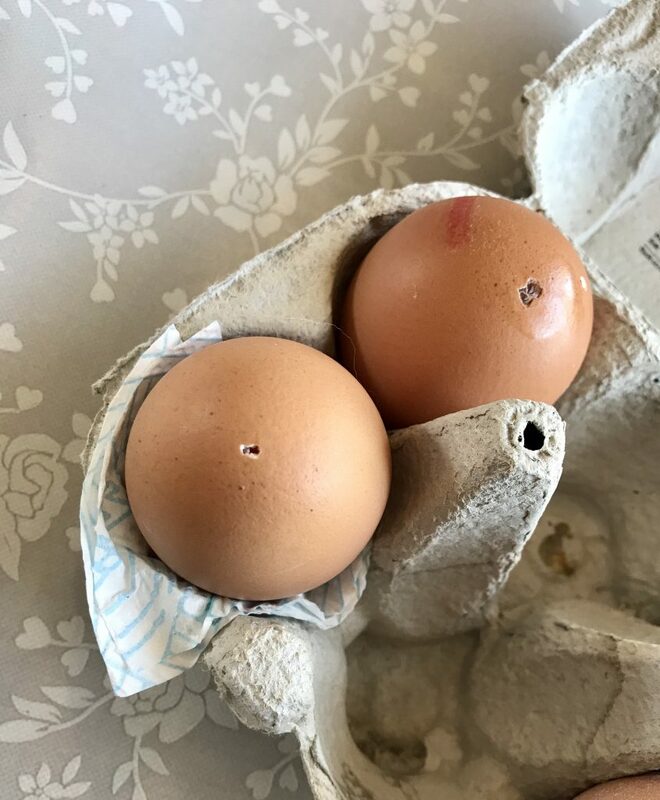 Make a small hole with a needle at the top of the egg and a larger hole with a darning needle at the bottom of the egg. Use the needle to break the egg up inside and blow through the smaller hole on top in to a bowl beneath. The egg will blow through the large hole at the bottom. If it is too hard you can enlarge the hole carefully with a skewer. Rinse the egg and leave to dry on paper towel. 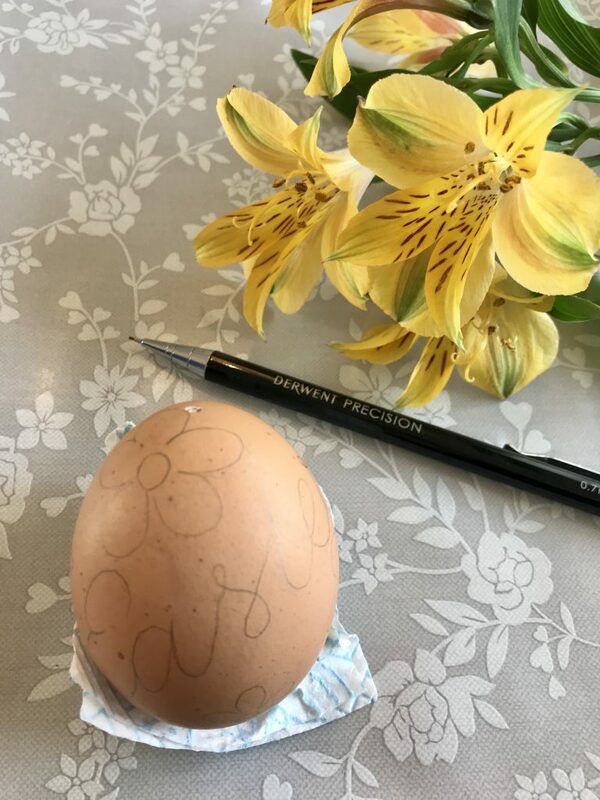 Draw your design on your egg, I like the precision pencil as it prevents me pressing too hard as the lead breaks before the egg does and the little eraser in the end is perfect for precision. Incorporate some hand lettering for a contemporary feel with the Inktense Paint Pan Set. Eggshells are opaque and make Inktense dry differently and instead of looking like watercolour look more like gouache. I like to have a spare eggshell to use as a test palette to see what my colours dry like as they look very different when dry. 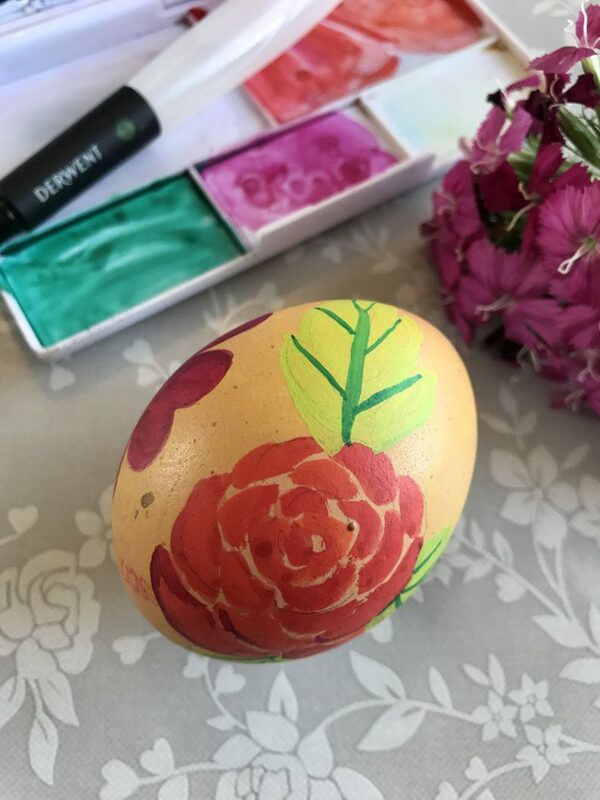 When you are happy with your design you can choose the background colour to make your egg, I love yellow at Easter time and the yellow in Inktense is lovely and bright. I made a wash by squeezing my water into the palette lid and adding yellow and a touch of orange together and building the wash layers on the egg and letting it dry. 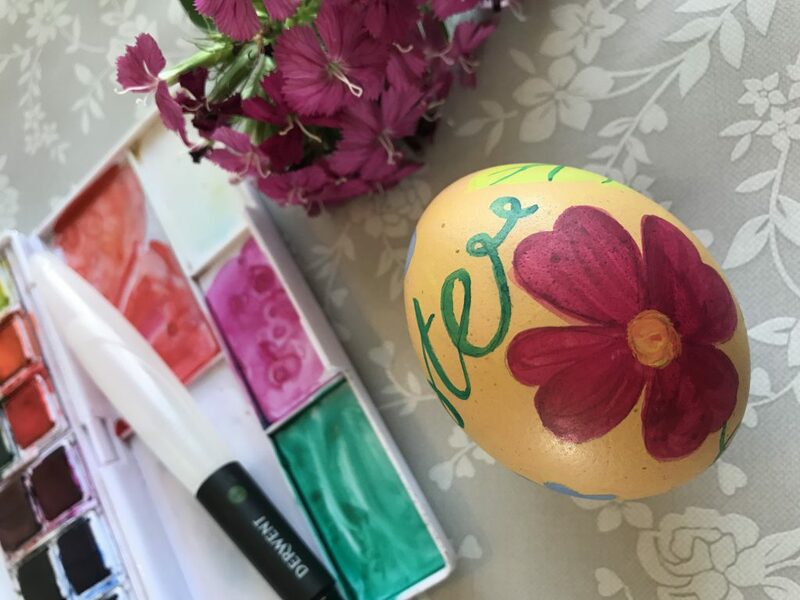 The Inktense needs to dry in layers when egg painting or it lifts off, choose blues and pinks for a fresh Spring look. Let each section dry before painting the one next to it to avoid it lifting off or smudging. It only takes minutes but ids definitely worth waiting. Add the little details and your lettering right at the end. 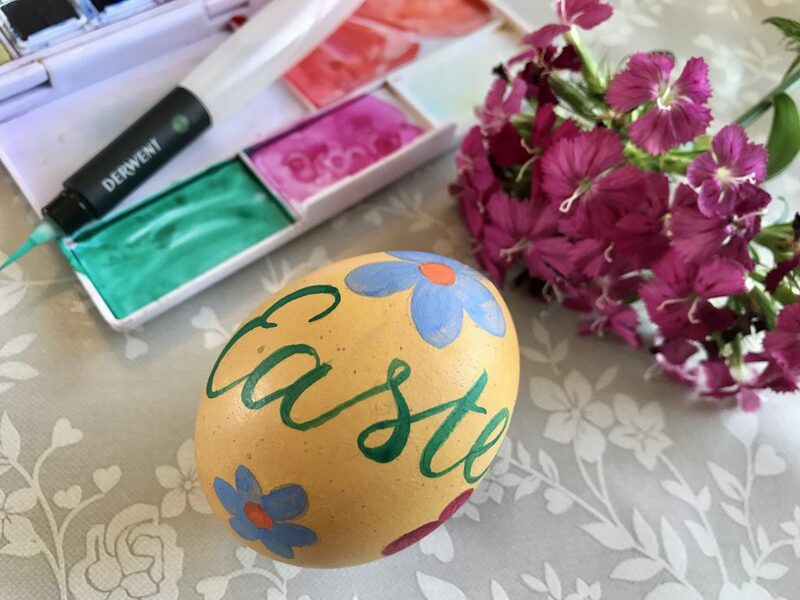 I love green lettering at Easter as it looks natural and part of the overall design, why not try incorporating your lettering into your leaves or stems? You could even do your hand lettering with Inktense pencils if you like more control. Once dry you can thread cotton through your egg and hang it from an Easter tree or decorative branch on the dinner table!